Something I look forward to on my days off work is sharing a smoothie with Isabella in the morning. 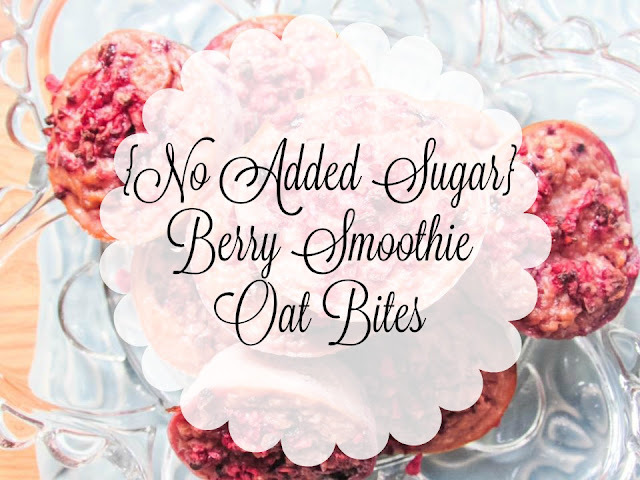 I try to mix up the smoothie ingredients as much as possible and a simple berry smoothie was the inspiration behind these oat bites. Smoothies are such a versatile ingredient to add to homemade finger food, cereal, ice lollies etc. 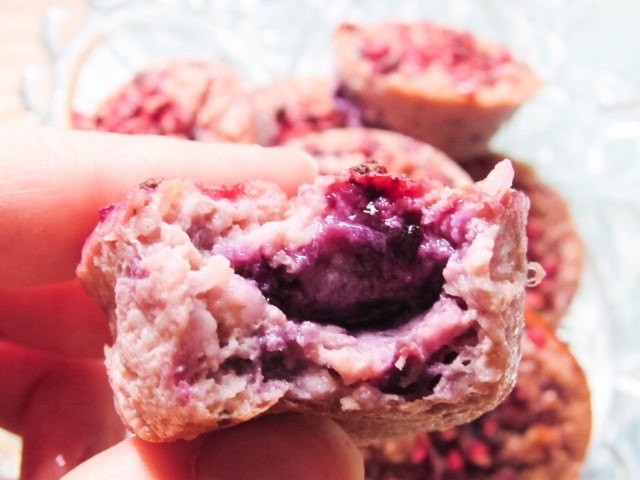 These little bites are packed with fruit from the smoothie, as well as having fresh blueberries in too. 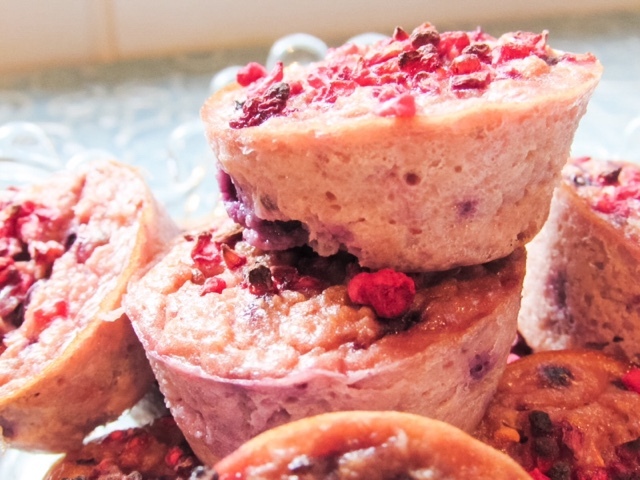 You can use any berry you have in the fridge or whatever your little one enjoys. 1) Preheat the oven to 180'C. Make the berry smoothie by blitzing all of the ingredients together until smooth. Add 2 tbsp of the oats into the smoothie and blitz for a further 20 seconds. 2) Combine the smoothie mixture, egg, halved blueberries and the rest of the porridge oats in a bowl. 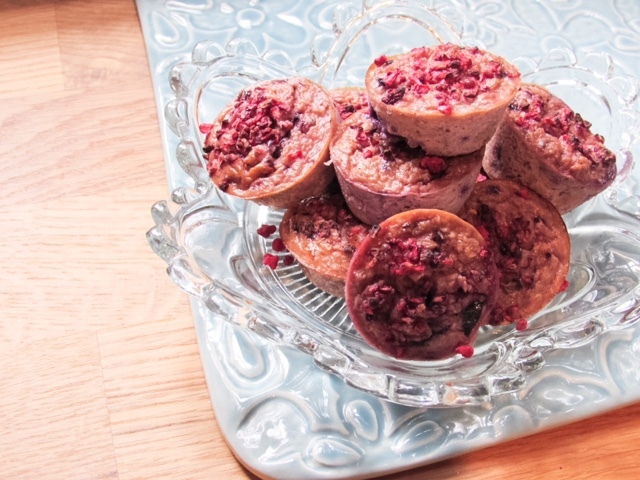 3) Pour into a silicone mini muffin tray. 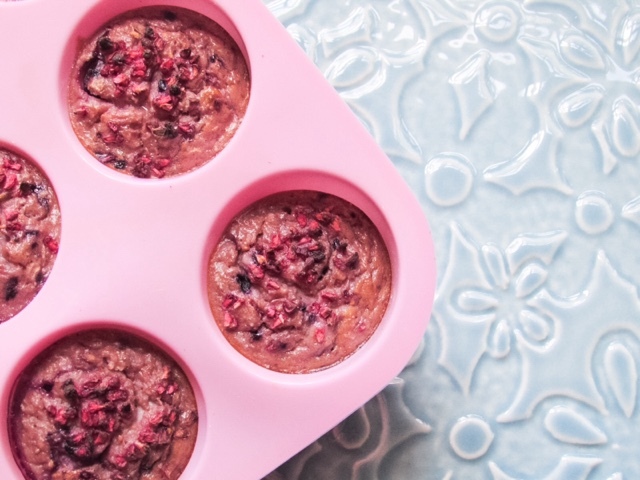 Sprinkle with the freeze dried raspberries. 4) Bake for 20 minutes or until slightly browned and completely set. 5) Leave to cool and then serve as a tasty snack or for breakfast in the morning. What is your little ones favourite fruit? 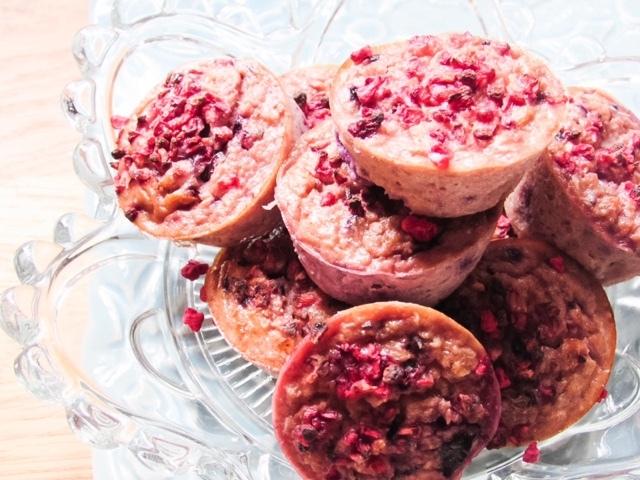 These look and sound absolutely delicious and I am definitely pinning this to make them later! We are really into our smoothies at the moment so I cant wait!